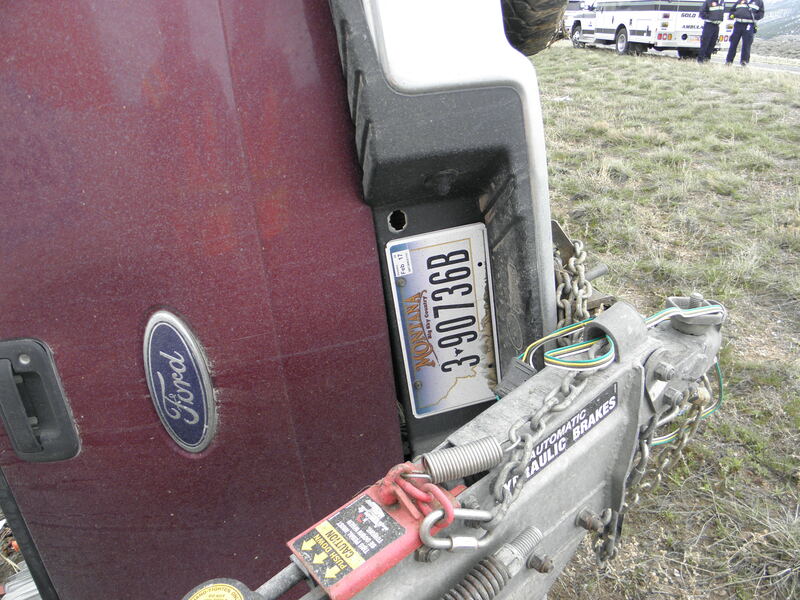 PAROWAN — A 2004 Ford F150 was totaled Wednesday morning after a medical issue caused the driver to lose control of the vehicle and roll one-and-a-half times on Interstate 15, landing in the median near milepost 68 in Parowan. 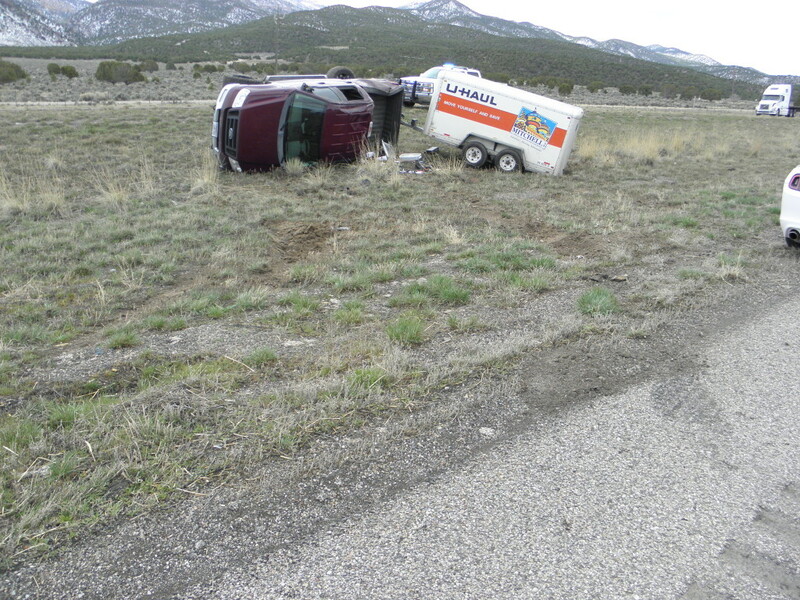 Utah Highway Patrol responded after a passerby called the incident in to the Cedar Communications Center at 10:47 a.m., Trooper Bambi Baie said. 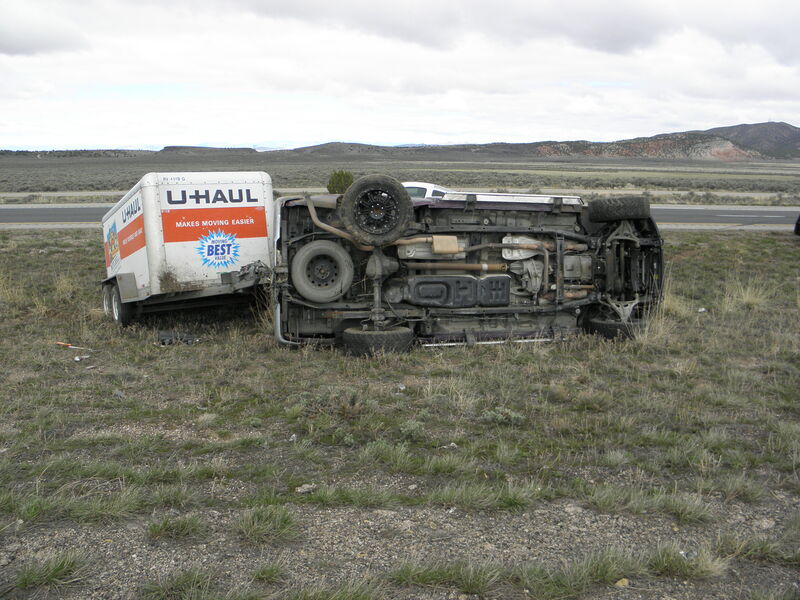 Iron County Sheriff’s Office responded to the scene to assist, as did Gold Cross Ambulance, though no transports were made despite the medical related issue that initiated the event. Baie said she could not release information about the nature of the medical event, citing the Health Insurance Portability and Accountability Act of 1996. None of the airbags deployed, but both the driver and his passenger were uninjured thanks to their seat belts, Baie said. 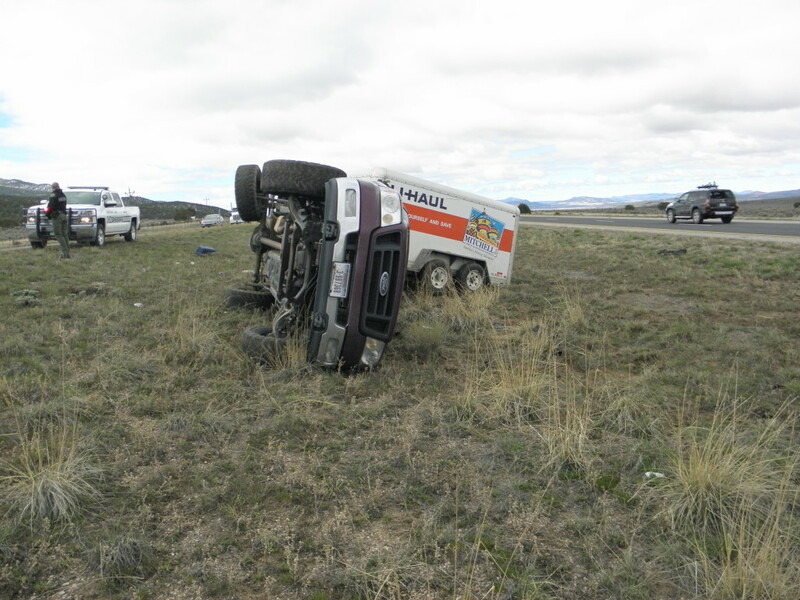 Originally, the driver was in the right southbound lane when his medical issue began, Baie said, explaining that he went over the rumble strips to the right and then over-corrected to the left before rolling into the median. The truck rolled, she said, but the U-Haul it was pulling did not. 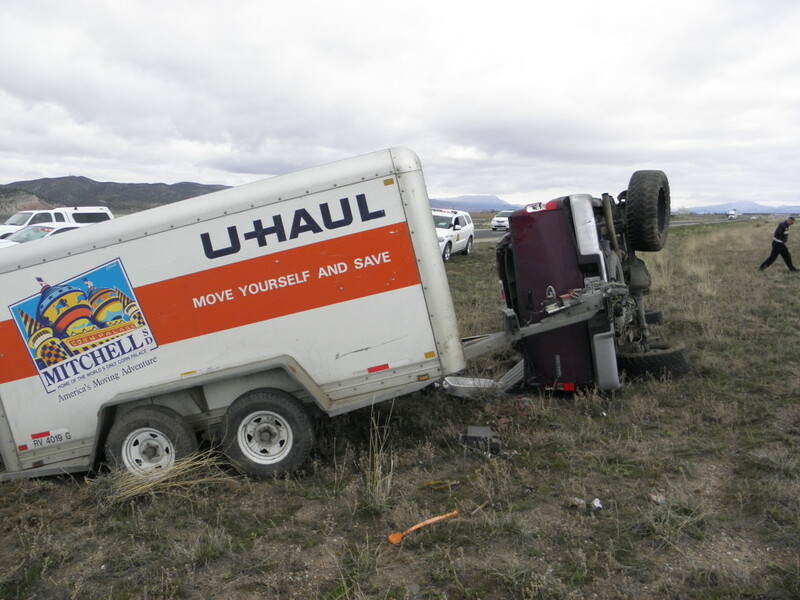 The two young men were heading to California from Montana on a big move with everything the driver owned in the truck and the U-Haul. The driver had insurance that would likely assist with resources for him to continue his move, Baie said, adding that it would still be difficult to have a wreck like this occur so far away from home.